Have a seat with old and new friends in Brighton’s oldest pub.. See why you will be coming back again and again. 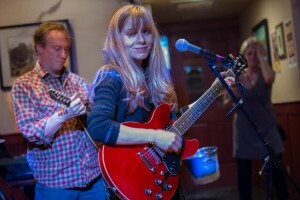 Live Music Every Tuesday Night! Be sure to check back for the latest at Corrib. In 1969 Hughie Bligh, a native of Roscommon, bought McMahon’s Bar on Market Street in Brighton and renamed it Corrib Pub after a lake in County Galway. 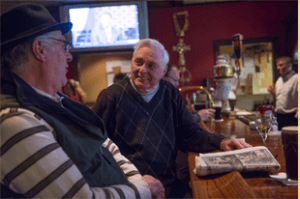 Now 46 years later and several renovations the Corrib Pub is an Irish – American tradition. Other options are available upon request. Please reach out to us to coordinate your next event.  The Corrib Pub in Brighton has a great function room. We use it every Tuesday night for the Tuesday Night All Star Band. We also use the room for paint night, birthday parties, baby & bridal showers, funeral receptions and other events. Unlike most restaurants, we don’t charge a room fee. For more information contact Kathleen, 617-378-2954 or email at driscollk8@gmail.com. VISIT US at either location.